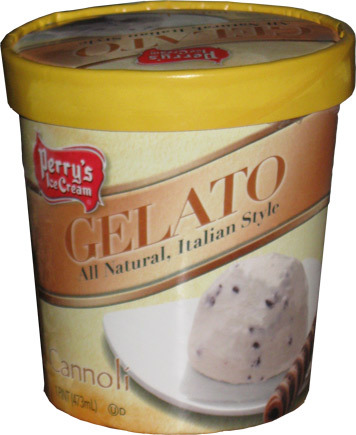 On Second Scoop: Ice Cream Reviews: Perry's Cannoli Gelato a.k.a. my first taste of Perry's! a.k.a. my first taste of Perry's! Oh it's just me and my very first pint of Perry's. Sure, technically it's a gelato, but that doesn't mean I'm not excited. 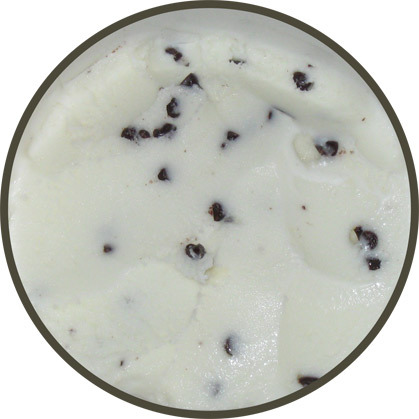 It's all natural Mascarpone flavored gelato with chocolate chips. It' claims to have an "intense flavor and smooth texture". I'll be the judge of that! I think it's time for some old school live blogging, hold tight. Ohhh, plastic seal, a nice touch that is always appreciated! but I can see the chocolate chips everywhere! hmmmm, not sure how I feel about the mascarpone flavor. It's very mild, but still different on the old taste buds. You know how some cannoli's are super cheezy? The chocolate chips are an "interesting" choice. They are the same size as those shaker containers of mini tollhouse chocolate chips. you know, it's going down really smooth. It's got a nice milky texture that melts in your mouth. I definitely approve as I sit here taking small but pleasant bites. I wonder how this would taste if you shoved it in a real cannoli shell? and you are almost touching on a chocolate chip blizzard type flavor. Funny, it even photographs like Talenti. It's got a nice, pleasant, sweet, aftertaste. Ok, I just checked wikipedia. When I was a kid, we had Christmas with an Italian family and we had some excellent mascarpone cannolis. The one's I've had more recently (and enjoyed less) are the ones that have (too much) ricotta in them. At least I'm not crazy, plus, I'm sooooooooo glad Perry's went mascarpone. Oh it's melting, I better put it away. Just a couple more bites, ahhh, I'm full. What about canoli shell pieces instead? Nice. Not living in that region of the country, I've only had Perry's once. i would love to try this so I could compare it the the Ben & Jerry's flavor. It was a flavor called Piece O' Cake and it was a game changer for me in the world of cake flavored ice cream.